Digital is the shared digital media experience between brands, users, technologies and trends. Marketing is how marketers add value to their brands and user experiences by fulfilling desires. It’s a powerful mix where you’ll be working with professionals to learn key skills in the fast-paced digital communications industry. 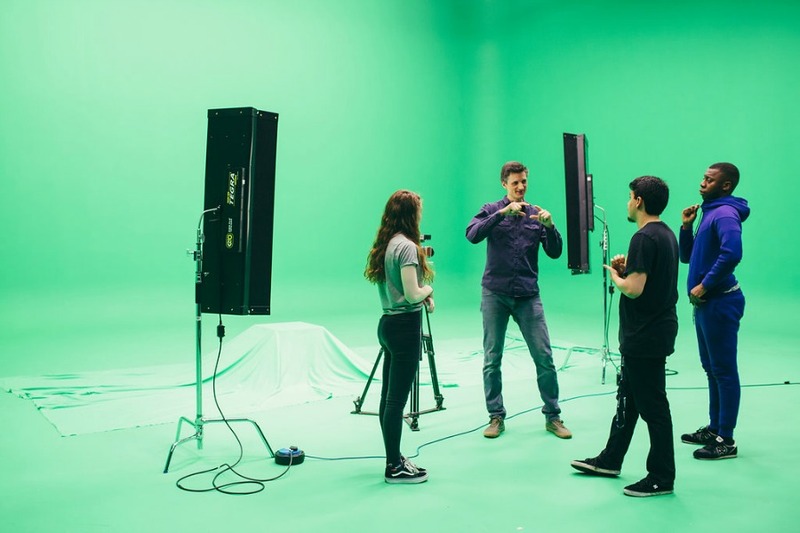 You’ll find yourself making simulated advertising campaigns with agencies like Mediacom, or delivering marketing solutions to content brands like the BBC, or using the latest technologies to produce exciting events, interactive experiences and games for clients like Codemasters. BA Digital Marketing is employment-led and teaches with a practice-based, knowledge-applied approach, where tutors and industry professionals work with you in classes and assignments to help you develop and grow your personal and professional development. You’ll be based in the New Technology Institute, (NTI), at the City Centre Campus where you will engage in practical workshops, digital media production, lectures and assignments with your peers, tutors and industry mentors. We’ll give you your own laptop to use for the duration of the course, state-of-the-art resources to work in and top industry mentors to work with. As you progress through the course you will build a knowledgeable skillset that gives you proficiency and know-how across disciplines and specialist expertise within them. Along the way, you’ll build a tangible ‘portfolio of practice’ that showcases your work and proves your professionalism; you’ll be making and delivering real media assets for real clients in the real world. This course aims to answer the creative industry’s calls for savvy digital talent to exploit new opportunities and trends in emerging markets and technologies. This means you’ll be looking for ways to reimagine trends, build brands, find fame, add value, optimise content, disrupt behaviours and monetise ideas across a range of media, platforms and channels. To do this you’ll need to understand how it all works, and your BA Digital Marketing course has the answers in a rich combination of options and projects. Proven two-year accelerated BA Honours Degree programme. Dedicated studio and state-of-the-art resources. Award winning tutors (BAFTA, D&AD, RTS) with decades of experience in industry. MacBook Air supplied for the duration of the course. Industry placement opportunities with top agencies and clients. Project-based, experiential learning with professional mentors. No exams! Coursework assignments building to final project and portfolio of practice. Teaching methods may include practical sessions, lectures and group debates, featuring input from both University staff and guest lecturers from industry, providing you with a wide range of practical knowledge and insight. It’s all about you! This Digital Marketing Primer places your own personal and professional development at the centre of the competitive job market. The objective is to give you the understanding and confidence to sell yourself and your ideas to your peers and potential employers. Meet the agency! You will take a ‘live’ brief from an advertising agency account manager. The objective is to identify a new audience for an existing client by raising brand awareness through a digital marketing campaign. Get to know your audience! Your client and your agency need to reach a challenging target market; this module gives you an introduction to audience segmentation through industry theory and professional practice. You are the media planner! You’ll work with a global brand to build on your market research skills, using your insights to make a difference in the real world. Get to know your market! You will receive a brief with the objective of delivering a market research report that helps to better understand the sector, its existing and potential consumers. You are the digital media executive at an agency! You’ll work on a global entertainment brand, tasked with developing a digital marketing plan. You’ll need to develop an understanding of a new agency planning methodology and employ its techniques in providing digital only recommendations to support all their digital communications. You are the creative team! You’ll be delivering a digital content marketing plan and some prototype assets to pitch to your client. This is your chance to showcase your digital marketing expertise and you’ll be using the framework recommended by the Content Marketing Institute (CMI). 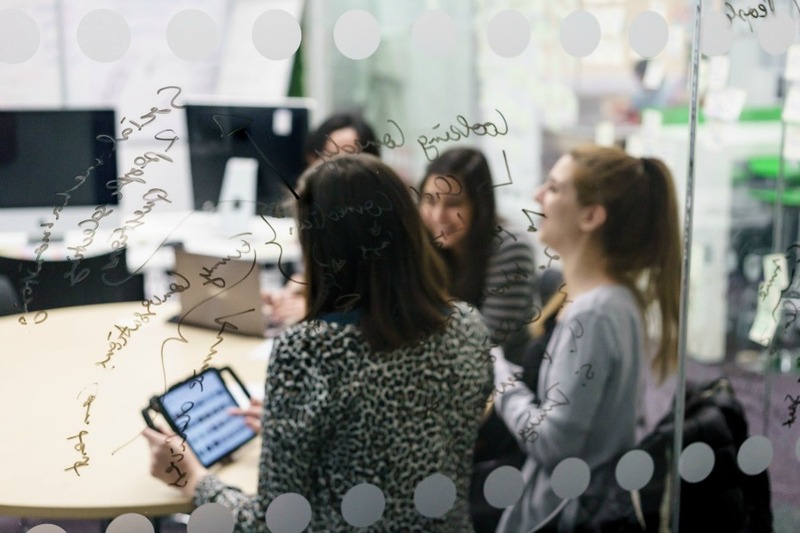 In your first year, you will work closely with your marketing colleagues, tutors and industry practitioners to learn new insights and develop your professional approach to digital marketing and advertising projects. You’ll learn how brands are built, how they reach their audiences and how you can add value and shared experiences to these through strategic and creative user journeys that optimise digital media channels and returns on investment. In the summer semester, you will join forces with your Digital Art, Video Games Development and Film Promotion colleagues to put your learning into practice. You’ll be working on ‘live’ briefs with top agencies, industry partners and clients like the BBC or Sony to deliver real projects that prove your proficiency in the digital marketing sector. In your second year, you will consolidate your own digital marketing expertise through professional practice placements and your own, self-defined Final Major Project. In this, you will choose to write a dissertation or produce a practiced-based portfolio of work that is employment-led. This is all about your choices and your professional development. So far, Digital Marketing students have used this final project to work on a national advertising campaign for the government through the UK’s most successful advertising agency AMV, international movie channel launches with branding agency Red Bee Media and automotive launches with digital agency MediaCom. Find out more about the inaugural Forward 2020 conference which gave students the chance to hear from and network with leaders in the digital marketing industry. You'll be assessed in a variety of different ways, including practical project work – both group and individual - presentations, written reports, practical portfolios as well as oral exams. Assessment is embedded into the course, which will mean your learning experience isn't interrupted by exams; allowing you to concentrate on becoming an effective team member. Cinema chains and Hollywood studios want lucrative teenage audiences in their movie theatres. Your brief is to build a social media campaign so get the real ‘red carpet’ experience of film-going glamour… not the dodgy download. MG Rover launching a new SUV into the UK car market. Your brief is to optimise Search around your brand, build a bespoke landing page for your product, bring target audiences to experience a test drive and persuade them to make the purchase! 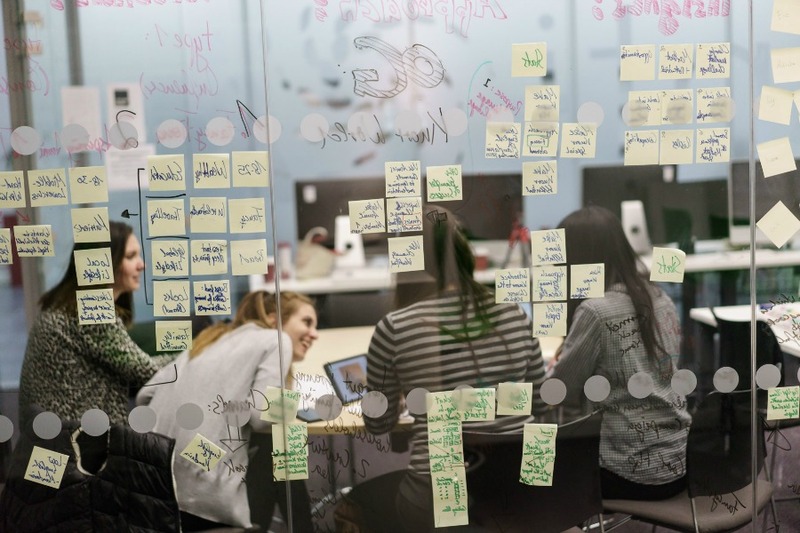 Take a look at how students worked in interdisciplinary teams as part of a live project with Red Bee Media, an international broadcasting and media services company. 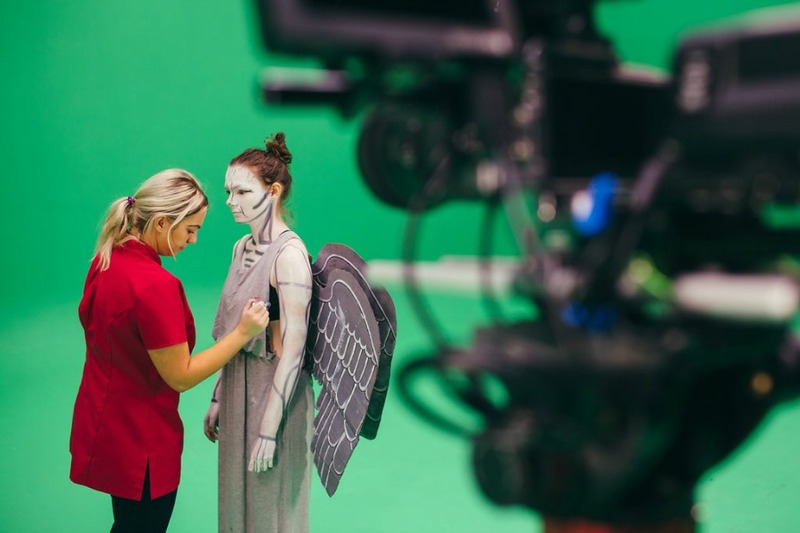 For successful graduates there is a natural progression from BA Digital Marketing to MA and MSc Future Media: Pro, which is a one year accelerated masters degree focused on exploiting digital media and marketing opportunities through emerging technologies and advertising agency techniques. Students taking this option can gain an undergraduate and postgraduate degree within 3 years. 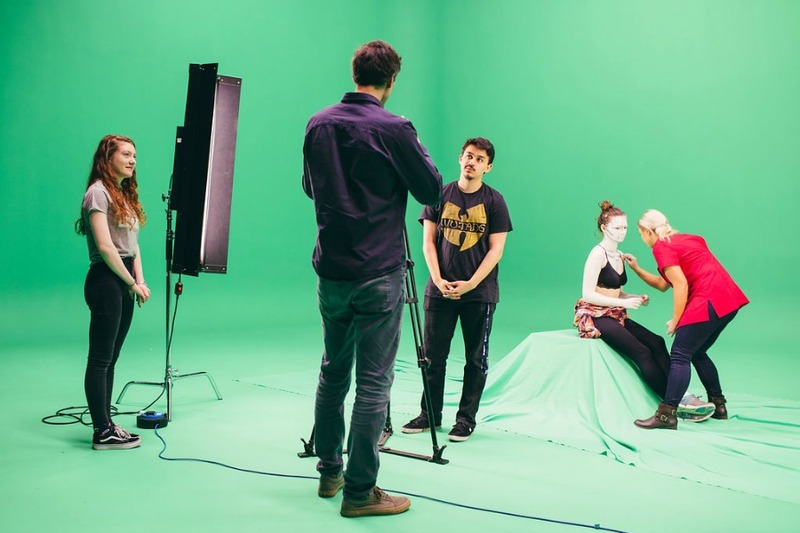 Alternatively, Birmingham School of Media at Birmingham City University offers a wide range of MA courses, allowing you to specialise in such areas as online journalism, social media, photography, public relations, television or event management. 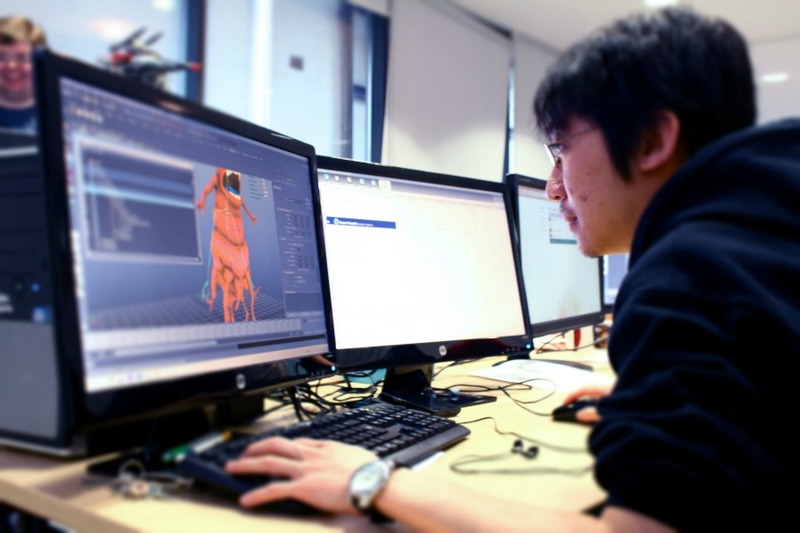 Workplace simulations, placement activities and industry standard projects are all key pillars in the course content. In addition you’ll be working closely with professional practitioners, top agencies and prestigious clients to develop and deliver your assignments. There are visiting specialist lecturers, Honorary Fellows and industry experts who you’ll meet on field trips or in class and these professionals frequently work with you and your fellow students as mentors. Towards the end of your studies you’ll complete a final major project and this may lead you to working directly with a client. This direct professional contact will give you the experience, confidence and freedom to put into action all you’ve learned during your studies. It will also give you a proven track record of professional placement activity and a portfolio of work to showcase your abilities. A personalised approach for each and every student. A range of activities that helps you to build Continuing Professional Development points towards completion of your award. 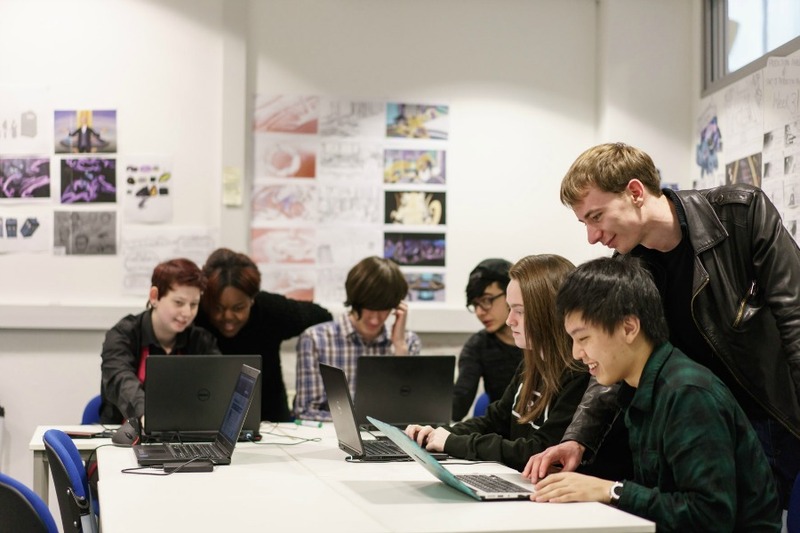 Placement activities on the course range from the collaborations you share with our industry partners in your assignments to actually working for clients that the University introduces you to as part of the programme. In your assignments, you’ll find yourself taking various briefs from your tutors, clients looking after brands, and agency strategists and planners who run prestigious accounts. You’ll be taught how to use the tools of the trade and expected to deliver your work to industry standards. Sometimes your placement activities will take the form of a brief only and at other times you may find yourself on projects where you are heavily involved with your client and hold regular milestone reviews of your progress. By the end of your second year you are able to demonstrate professional proficiency and channel this into your Final Major Project. This is where most of our students develop employment-orientated relationships with the mentors of their choice. It’s these kind of relationships that build valuable professional contacts, promote networking across the industry and often lead to internships and eventually jobs for our students. You will be encouraged to engage with industry professionals throughout the programme and your tutors will make every effort to introduce you to contacts across the digital marketing and advertising and sector. In addition to delivering specialist lectures and hosting field trips our industry partners get involved in structuring your course, updating the content as the digital landscape evolves and helping to frame your assignment briefs. SapientNitro describes itself as “a new breed of agency for an always-on world… SapientNitro is redefining how stories are told across brand, digital and commerce”. ThinkJam represents some of Hollywood’s biggest studios and markets their movies globally. Since 2004 they’ve delivered nearly 2,000 campaigns for the clients who range from famous film makers to global publishers, distributors and celebrities. AMV was named ‘most successful agency in the UK’ by the advertising industry’s leading creative professional association, the D&AD, as well as ‘Creative Agency of the Year’ at the 2016 Creative Circle Awards and ‘Agency of the Year’ at the British Arrows Awards. AMV’s client list is epic. Other top agencies we work with include FOUND, MediaCom, Red Bee Media, UNRULY, Chapter, Hunterlodge, BBC Creative, Bulb, Nimbletank, Ogilvy One and Lambie-Nairn. Mike started his broadcasting career in 1983 as a journalist in cable TV newsrooms and progressed to becoming a news Producer/Director before moving into broadcast TV as a Network Director for Thames Television and Producer for the BBC. In 1990, Mike joined the BBC team responsible for branding and promoting the corporation globally winning international awards, including BAFTA and D&AD Gold for on-air and off-air marketing and promotions campaigns. Kirstie has extensive experience in B2C markets and currently works for clients in the marketing agency, fashion lifestyle, automotive, leisure, hospitality and food sectors. Her work focusses on driving revenue through co-ordinated social media and digital strategy, consultancy and training. Before setting up her own agency in late 2017, Kirstie headed up a team of Social Media and Community Managers at Connecting Element in Birmingham, managing over 30 social media channels with a combined community of over 6 million people. She has been at the forefront of scores of innovative and creative campaigns for clients including P&Co, Toby Carvery, Harvester, Miller & Carter steakhouse, (Mitchells & Butlers), various Carlsberg House of Beers brands, University of Birmingham, Me & My Golf, Tilda Rice, Engage Mutual, Puma, Smart Insights, Johnson Press, Prozone Sports…to name a few. When she’s not working or teaching, she spends her time renovating a grade II listed jewellery workshop, where she’s creating a home and workspace. She also blogs about Social Media with her good pal Jacky, over at Two Social Girls.